A healthy exercise on a daily basis can reduce the pain of migraine and its intensity as well. However, i have seen cases where people complain about getting a migraine attack during an exercise session, but i would recommend you to continue doing that as it is not harmful at all neither it has a negative impact on your health. According to experts and doctors, one should exercise at least 3-4 times a week in order to get rid of at least half of the migraine problem. It is more or less a part of the treatment that helps in controlling the migraine headache as a whole. If you are concerned about your migraine headaches and can get consistent with the exercise routine then read further. otherwise you need to prepare your mind for the same and then need to come back for this. How much exercise you should do? According to experts, the adult who is having a migraine or headache should do 150 minutes of workout within a week. The intensity must be moderate not too high or too low. The balance needs to be maintained by yourself, with this you can do 2 days of strengthening exercise but the most essential will be stretching and flexibility exercises. Yoga should have been your first preference as it relaxes the neck and mind muscles smoothly. Still, you know your body more than anyone so if you are not able to exercise 150 minutes a week then its fine. Set your own goals and improvise with time and practice. What are the most effective exercise? Swimming or walking can reduce the frequency and level of migraine headaches. 20-30 mins of walk daily in morning help in releasing stress from the mind. Meditation tends to bring peace to your mind and provides relief from the pain that occurs during a migraine attack. Yoga is also an effective method to get rid off these headaches, it flexes your head, neck and shoulder muscles providing relief from pain. Healthy and accurate posture: please take a guidance from expert trainers who know the posture in which the exercise should be done. If the way of doing gets wrong, you will start feeling more stress on your brain which will put much negative impact on your headaches. Moderate intensity : if you are having a problem like a migraine or headache then intense workout can create more issues to your health. So keep the intensity moderate always, don’t get too excited and overdo anything. Warm up first: do the warm up before you get started with your exercise as it will warm your body for the main workout. It is good to stretch after exercise as it helps the body in recovering the normal temperature again. 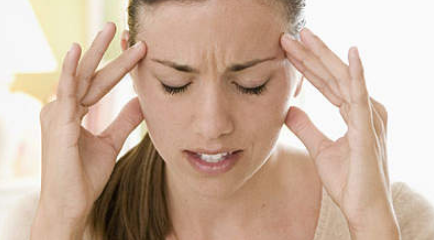 Migraine can be controlled if it receives accurate treatment under proper guidance. Try to get an expert trainer who will help you in achieving better results. Try to get in touch with a professional therapist also, for the treatment of your headaches.In florida you will get various of good options for help. There are a number of patients who are suffering from the same and got the most effective solution for the problem. How To Lose Weight Naturally After Your Delivery?